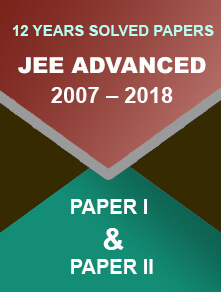 The Joint Entrance Examination (JEE) Main exam is scheduled to be conducted from 8th to 12th January 2019 throughout the country and abroad in Computer Based Mode. 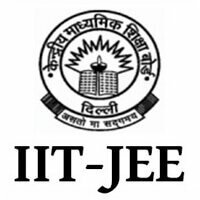 The JEE Main exam is conducted for BE, B.Tech, B.Arch, and B.Planning courses offered at IIITs, NITs, and other government-funded institutes. The National Testing Agency will be the exam conducting authority from 2019 onwards. Till 2018, the exam was conducted by the Central Board of Secondary Education (CBSE). Here are details related to admit card, dress code, and more. The e-admit cards for the exam were released through the official website – jeemain.nic.in on 17th December 2018. Candidates who have successfully completed the application process with fee payment can download the admit cards using their log-in credentials. 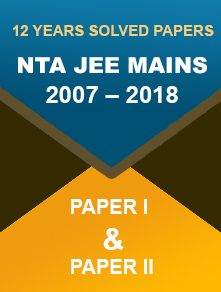 As per the official notice, “The candidates may note that no Admit Card will be sent by post.” However, if you are unable to download their admit cards, report it to NTA at jeemain-nta@gov.in. Carrying admit card to the examination venue is mandatory to make the entry in the examination hall. Don’t forget to keep the admit card. Candidates have to appear for the examination as per the Centre, date, and shift as indicated in the Admit Card. No request for changes in these details will be considered under any circumstances. As per the official information bulletin, there are no specific guidelines for the dress code. So, students are advised to keep the dress code simple and comfortable. Please note that the metal detector will frisk you. 7:30 A.M. – up to 8:30 A.M.
12:30 P.M.– up to 1:30 P.M.
2:00 P.M. to 2:15 P.M.
2:15 P.M. to 2:25 P.M.
“Candidates are NOT allowed to carry Instrument/Geometry/Pencil box, Handbag, Purse, Any kind of Paper/Stationery/Textual material (printed or written material), Eatables and Water (loose or packed), Mobile Phone/Ear Phone/Microphone/Pager, Calculator, DocuPen, Slide Rules, Log Tables, Camera, Tape Recorder, Electronic Watches with facilities of calculator, any metallic item or electronic gadgets etc. in the examination Room/Hall.” said the exam conducting body. For Diabetic students – Eatables such as sugar tablets/fruits (like banana/apple/orange) and transparent water bottle are allowed. Packaged food such as candy/chocolate/sandwich is not allowed. For Drawing Aptitude Test (Paper 2) – Carry your own pencils, erasers, geometry box set, colour pencils, and crayons. A separate sheet will be provided for rough work such as calculations. Such work is to be carried out in the sheet provided and the same has to be handed over to the on-duty invigilator before leaving the examination hall. Stay calm and positive. All the Best for JEE Main Exam!